Bedtime routine has always been an easy affair in our house. Grace climbs the stairs at the end of the bedtime hour on CBeebies at 7pm, plays while her bath is run, cleans her teeth and then hops in the tub. How long she spends in there depends on her mood and whether there is a tired-toddler-tantrum hanging out in the wings. Recently Grace has been employing tactics to delay bedtime, even though she might be overtired. Take today for instance. A full day of flat out fun at nursery, total nap time 50 minutes... short by Grace's standards. She's tired. I know it, because she whinged her way through dinner, refused a bath, refused to clean her teeth and insisted on clinging to my finger the whole time (and I mean the whole time) from walking in the door from work to getting as far as putting her in her PJs ready for bed. It's hard cooking dinner with a toddler on your hip. Anyway, there I am, Grace in her PJs and she throws another paddy, desperate to wear the t-shirt I have laid out for tomorrow morning. Judging by the kicking and screaming, she has a very strong opinion this is going to be put on top of her pyjama top - she's not fussed about being too warm - this is how it HAS to be. So we do it. Tantrum abated, we read a book and she has some milk to drink before I lift her gently into bed and sneak out of the room as she falls asleep as her head hits the pillow. For about a week now, since we got back from Turkey, Grace has decided she is NOT letting her Mummy go at bedtime. AND she wants to read book after book after book... at bedtime. I am hostage. Any attempt to inch closer to the door brings on tantrums, red faces, tears (and I'm certain, bad language). She has two books that are flavour of the day, currently being read so often I almost know them verbatim. Tonight, we read the same book 3 times, and she still wanted more. Now either Grace is slipping into the terrible two's a little early, or these writers of children's book are jolly good at what they do and have a lot to answer for. Julia Donaldson, author of The Gruffalo is first on my hit list. What the Ladybird Heard is a super little story that lets me exploit my inner-Yorkshire voice to become the story teller. Grace enjoys the rhyming, the animal noises and the way she gets to spot the ladybird on each page. Both much loved, dog earred, dribbled on, taken to bed and slept on like a pillow. 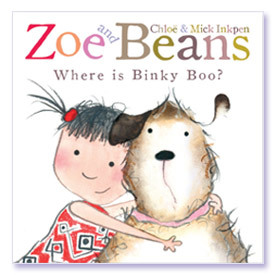 These books are currently Grace's bedtime comfort. When Mummy's handhold slips from the room, these books are there to comfort. Yes, I listen to tears as I close the door and she realises when I say it's bedtime it really is bedtime. But after a moment or so, I can hear her settling down with a good book before she drifts off to sleep. Not just a good book. An extra-good book. 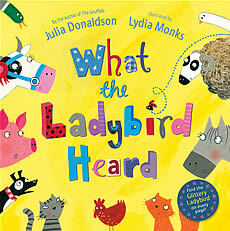 We love What the Ladybird Heard as well, it's great isn't it! Only frustrating part for my little man is that there's no ladybird on the start or end papers! Thanks for stopping by Meg, it's always nice to hear someone other than my family from the far flung corners read this! Yes it's great book, Grace has been glued to hers since her Godmother bought it a few weeks back, loves it!